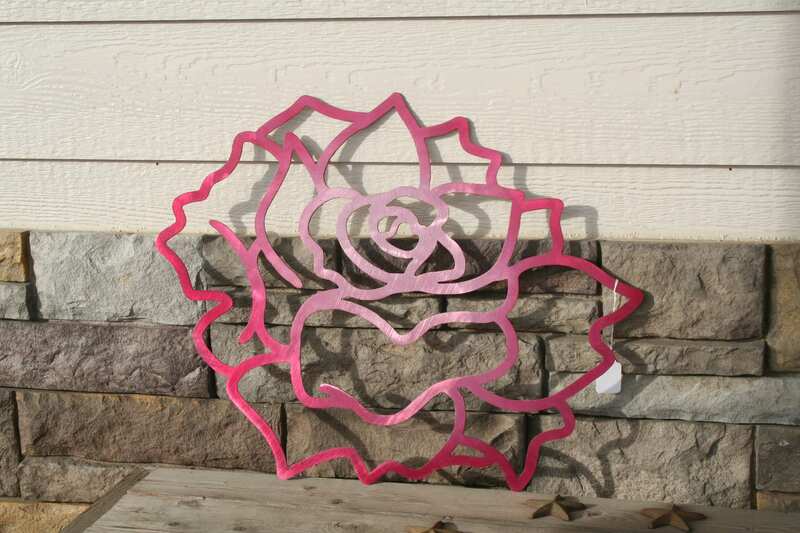 Polished Aluminum Roses are a beautiful additional to your modern decor! 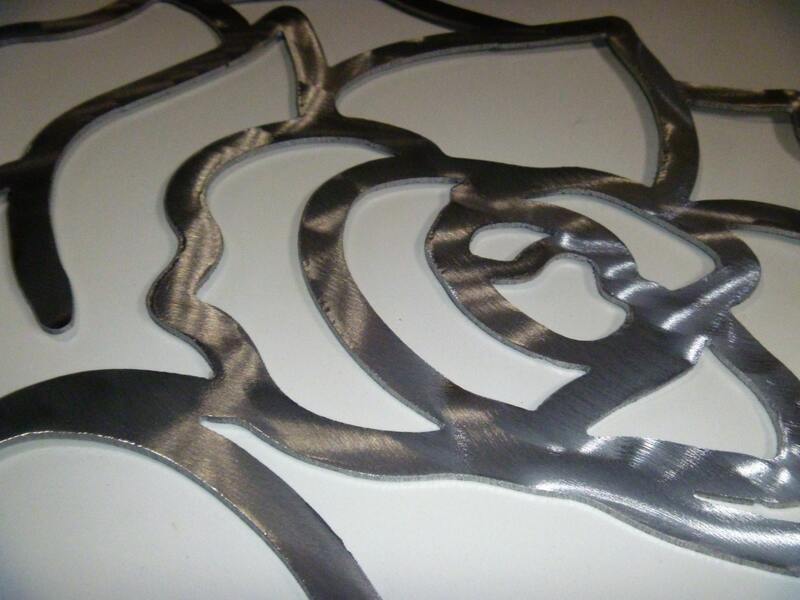 Roses are cut from thin aluminum roughly 10" wide in the small size and 22" wide for the large. 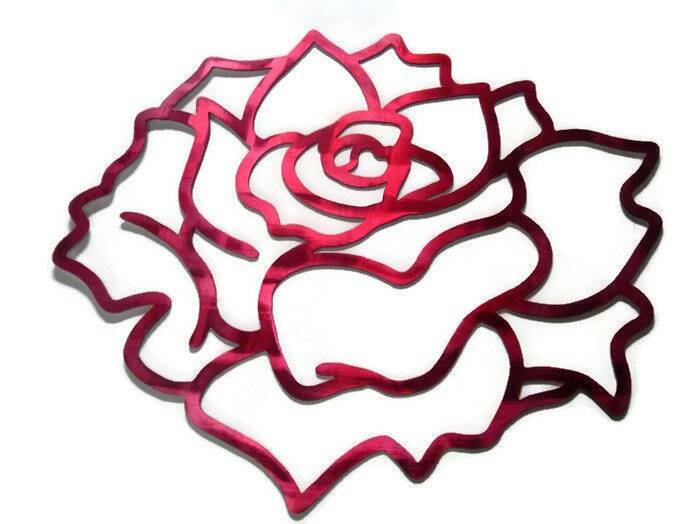 They are polished and then tinted with translucent automotive paint, durable powder coat colors or high gloss clear-coat. 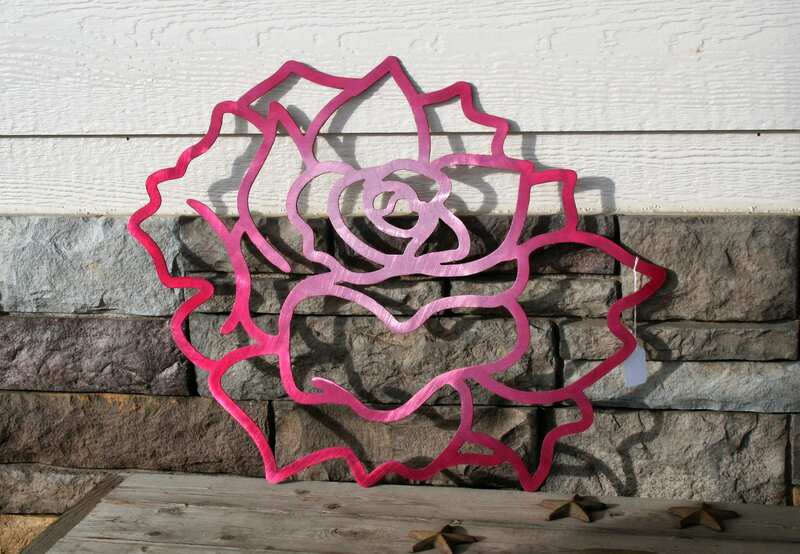 These beautiful metal flowers are sure to delight any wall in your home or office! 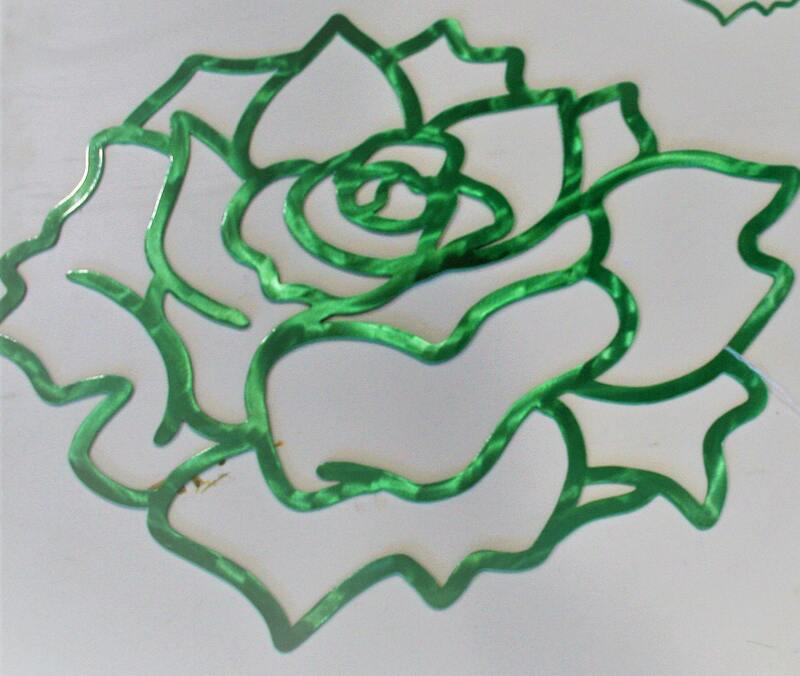 The beautiful lines in this design will reflect in any light. Add candlelight for dancing reflection in all directions! 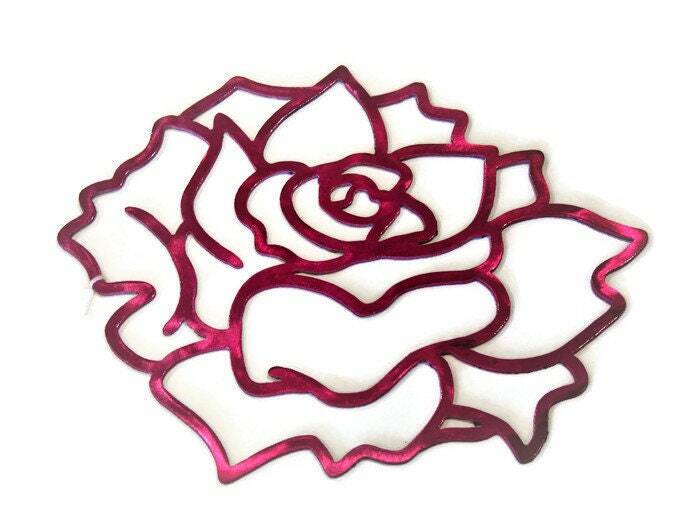 Makes a great Valentine's gift. 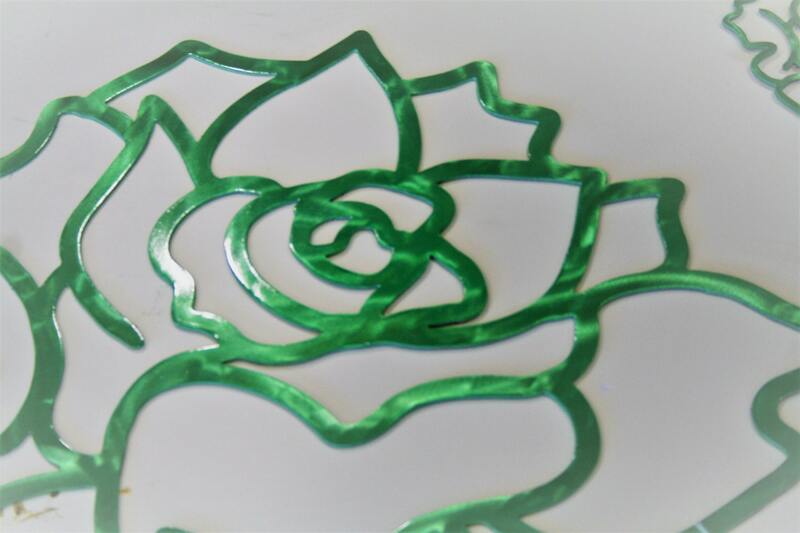 Choose from natural silver with clear coat, translucent gold, translucent blue, metallic green or pink. More colors coming soon! 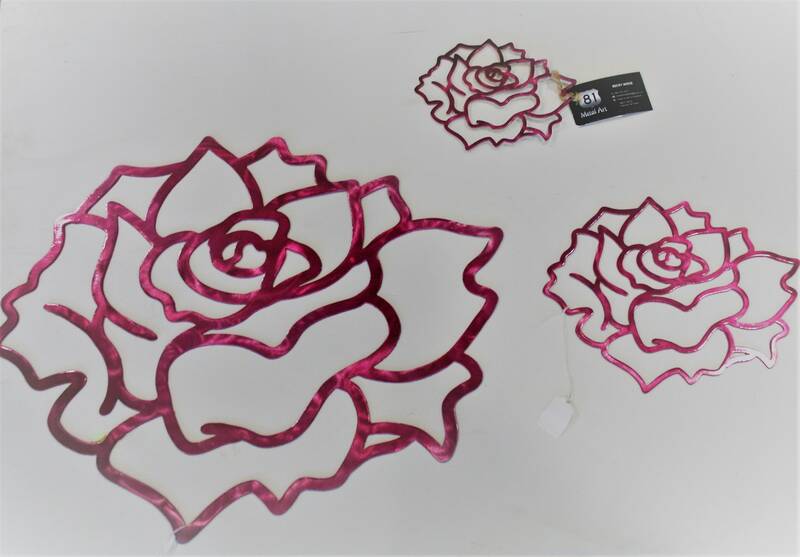 Flowers can be installed with small finish nails or double-sided adhesive tape. 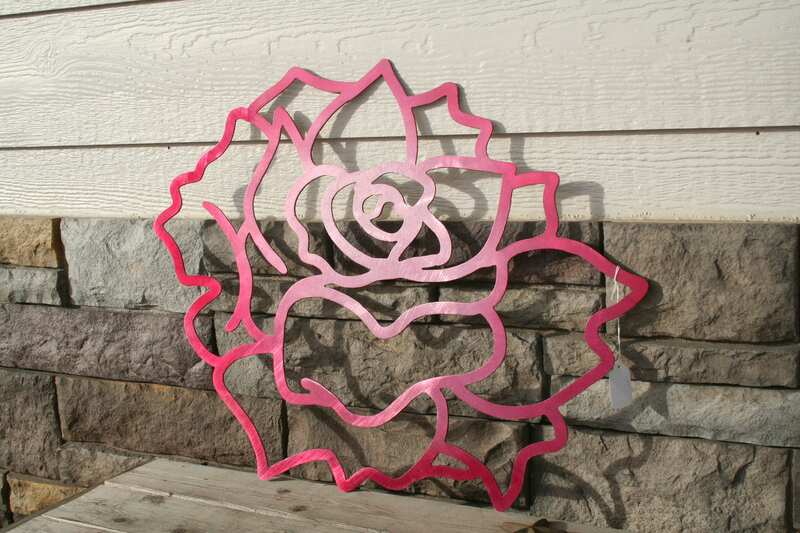 These beautiful flowers are sturdy but very light-weight! 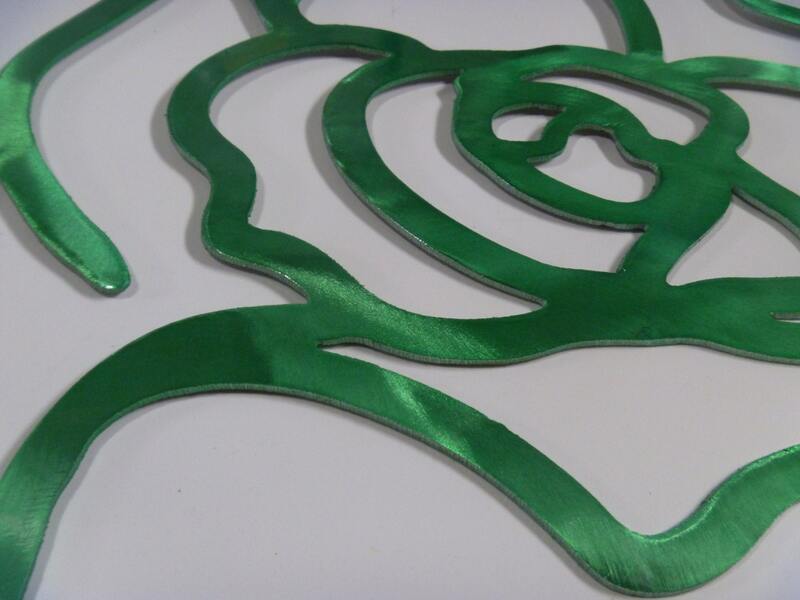 We hope you love these roses as much as we loved creating them!